Omega and Daniel Craig have teamed up to support Orbis’, a charitable organization which delivers eye care to some of the world’s most remote and developing regions. A special watch – the Hour Vision Blue – has been created to celebrate the partnership and Omega has guaranteed that at least one million U.S. dollars from its sale will be donated to Orbis. The Hour Vision Blue wristwatch is a special edition of the elegant Hour Vision. It has a classic 41 mm stainless steel case and is equipped with Omega’s Co-Axial caliber 8500 which can be viewed through the sapphire crystal on the caseback. 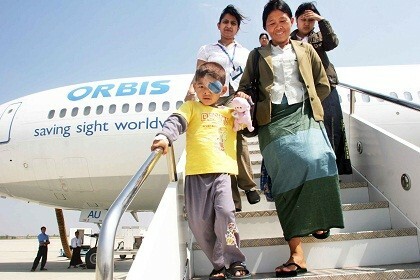 Since it was founded in 1982, Orbis has carried out programs in 88 countries to provide medical training, tools and technology for local partners to address avoidable blindness in their communities. 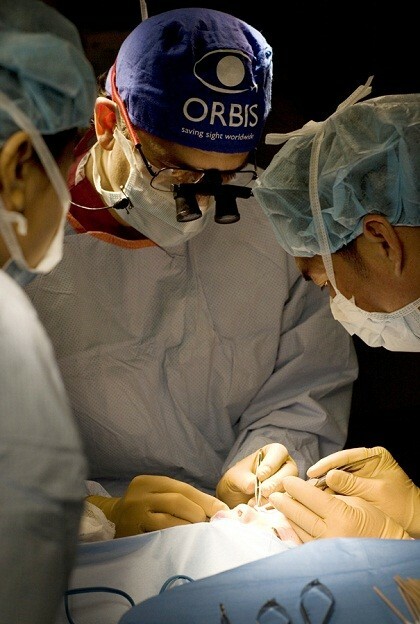 As a result of Orbis’ support, more than 12 million individuals have received medical care and more than a quarter of a million eye care professionals have been trained. Daniel Craig, an Omega Brand Ambassador, will visit Orbis’ Flying Eye Hospital with Omega later this year. He said: “I think that it’s important to do all that we can to draw attention to the invaluable work that Orbis is doing.